The E2EVC Virtualisation Conference is a non-commercial, virtualisation community event. Its mission is to bring the best virtualisation experts together to exchange knowledge and to establish new connections, to boldly cram a community presentations, master classes and discussions into one weekend. To bring together virtualisation vendors, product teams and independent experts with IT admins, managers and consultants out in the field. E2EVC started in 2003 with just 4 people and was called Pubforum. It continued until popular demand asked for a more expense/time justifying name change to Experts-2-Experts Virtualisation Conference. After twelve years of events around Europe the conference has grown to be a key industry event bringing together of industry shapers in a technical and social forum. Two and a half days of presentations which cover topics from PowerShell Orchestration, through GPU, to Docker to what IoT actually is...sounds good? At least 8 people can prove Alex's driving is "definitely not bad"
To be fair - this is the one conference where I book up for the next one, while I'm still at the previous one. I am not the only one who does this. While there are many regulars (not *everyone* is there Dutch ) there were an even larger number of new faces than normal. As we move beyond 2015 there have now been two US events, plus one in Asia. What is an E2EVC conference like? How technical was the technical content? Could you get wi-fi and at least answer some emails in a break? What makes this the type of event that convinces Microsoft MVPs, Citrix CTPs, and VMware vExperts to give up their family time (or indeed bring their family), travel around the globe and pay great low beer prices for? 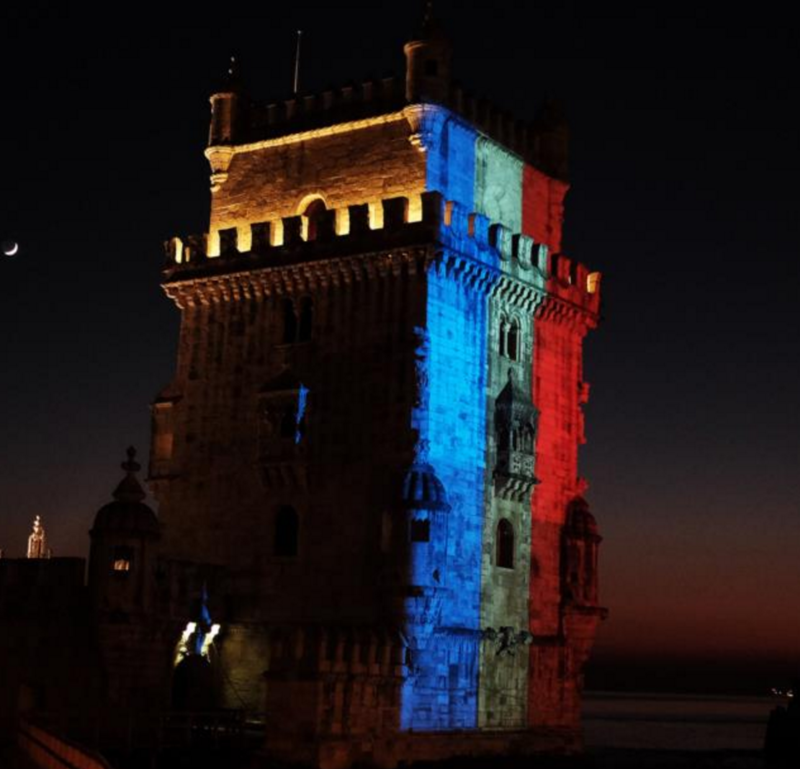 A quick review of E2EVC XXVII Lisbon seems in order. There are typically two European E2EVC events a year - one in the spring, one in the autumn. 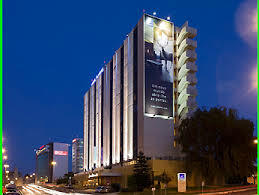 2015's spring venue was the imposing Novotel Lisboa hotel not far from central Lisbon. The hotel's conference facilities were pretty good. Decent sized rooms, easy to see, fewer plug sockets than there have been in recent years, good use of second displays in the larger room on the first day. Comfortable temperature. Plenty of room outside to mingle, all on a single level. Good use of the outside for evening events. Lunch was good, appreciated the on-going beers and coffee that was drinkable. Wi-fi was relatively stable, good enough for browsing and checking email. I had no problems with my room. My daughter liked the playpark. Tripadvisor has my more detailed thoughts on that. The Running Club had robust 5k course worked out. A good choice as a conference venue. 2006/7 was the first time I attended an E2EVC event. Back then - sessions rarely started on time and the agenda could change hourly. This became almost a running joke: if you attended, you could expect a certain amount of "agenda flexibility". This is not the case today. This has grown into a professionally organised and managed event. Perhaps all the more impressive as there is only a small team in charge and it is not strictly their day job. Day one did over-run as people struggled to get a lot of content into a focused time period. Still, for Saturday and Sunday Sessions started on time, sessions stayed to schedule: I'm sure that if any presenter had been late someone would have told them and they wouldn't have had to do it the next day. Some missing people due to airline strikes meant others valiantly filled. You're unlikely to get vendor sessions up against community sessions and many vendors refocus their standard sales pitches to ensure the sessions are useful and engaging - Atlantis Computing, Control Up, Nutantix and SMS Passcode standing out for me personally. It would be useful if the full agenda persisted on-line post-event - but then it never has, so I could have solved that easily myself. My bad. Robert Breker's discussion on XenServer deep technical dive and myth-busting the Container vs. VM debate. Not only because of the useful background discussion I had with him the night before, but for the fact his session answered a lot of questions I thought he was putting off. It was as if he knew the answers were in his session already - the wag. We all learned stuff: including "t-shirts aren't like pasta, if you think you have enough - you don't". Still, very useful. Helge Klein's session on How Group Policy Impacts Logon Performance. Helge has developed the impressive Uberagent monitoring application and wrong the original bug free software that became Citrix's Profile Management solution. In this session there was a deep (but on time) dive into the impact of registry settings, the importance of a well operated environment and highlights of common pitfalls. Worth a review when the videos are out. Sinisa Sokolic How To Legofy Your Infrastructure - some great analygies, insight and practical tips on driving better quality and reducing timescales through automation. Thankful for the tip on the free community tool, the PowerShell App Deployment toolkit. Well worth a looksee. An honourable mention to Logfiller and their Layer8 application for user experience monitoring. Didn't manage to catch their session content, but did get a chance to hook up with them one evening. This tool hadn't quite passed me by, but I hadn't had a chance to look at it in depth and thanks to James for taking me through it. Was impressed with the take on understanding performance of an environment by considering user experience. Not just a tool for virtualised desktops. Another one to look out for. If you've been to a Citrix Synergy event, or watched on-line you've heard of Geek Speak. Essentially, "a number of industry professionals sit at the front and talk about stuff, a room full of people maybe ask questions". Which can be nice. 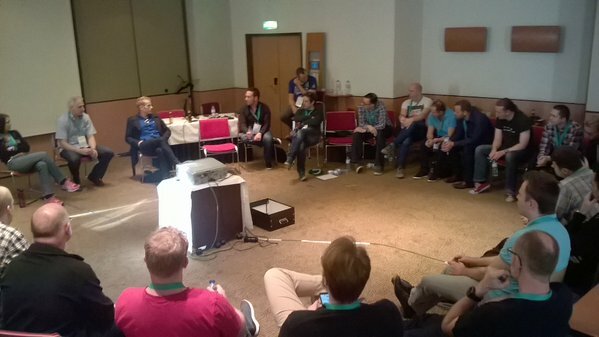 What exemplifies the ethos of E2EVC is that the Geek Speak session is it is in the round. Always the last session it is a session-in-the-round: literally. The room's chairs are moved and you speak in a circle. While there is a moderator, the floor is open to any speaker to talk about a range of topics. Typically early topics are "what did you think of the conference" but it expands to issues of deployment, configuration, industry trends. This is not a session where you are talked at, but a session where you contribute to. It can go on for hours: even without beer and pizza. For the Citrix UK User group we've adopted this format for our end of day sessions: granted it only works for about 60-70 people, but it is an incredibly useful format as it is always one of our most liked session. The format allows a recognized industry expert such as a Citrix Technology Professional, Microsoft Valued Professional or VMware vExpert to learn from an admin in the field. Too often major industry events incorrectly elevate the highly qualified to exclusive tracks: E2EVC facilities the fact that everyone needs to learn, all the time. As ever, one fact we all learned (even for the short time I was there) was it is always fun to share, but it is more fun to share over a beer and a pizza. Other have other opinions. 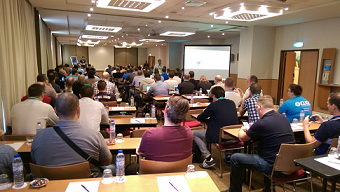 Wilco Van Bragt, for example, has published his thoughts on E2EVC Lisbon Day 1 and E2EVC Lisbon Day 2. Conference wise, not being able to go to two sessions at once. A customer call on the Friday. 'Holding microphones', but then that's not really the event's fault. There - that's the best I've got conference wise. Of course, there is always the need to call friends and check on colleagues who are in, and have family in Paris on the Friday night as the full detail of the atrocities emerged. It was a respite to know that they were all safe and well. How do I attend an E2EVC event in 2016? What enamoured me with this conference is its inclusion, sense of networking, sense of community. There are always people cannot attend as a weekend format undoubtedly impacts on family time. Still, the E2EVC conference has developed an overlapping core of attendees that help drive the event. That core understands the ethos, welcomes it, encourages it. New attendees can find themselves having a beer with a blogger they've always followed, out to dinner sat next to a product manager, sharing a beer with a person they had a conversation with on twitter. The E2EVC is still a best of breed community conference on virtualization and worthy of your time to attend. Hope to see you at one in the future.